As investors, we have learned that any time news is released about a publicly traded company, we can expect to see a reaction in the market. Unfortunately, investors are taking the job cuts as bad news. So naturally, we’re seeing poor movement surrounding BBRY in the market. Currently (12:54), BBRY is trading at $6.47 per share after a gain of $0.17 per share or 2.56% so far today. Moving forward, I have a relatively mixed opinion of what we can expect to see from BBRY. In the short term, I’m expecting to see a bit more volatility as investor concerns prove to be a driving factor. However, in the long term, my outlook is quite a bit different. In fact, I’m expecting to see overwhelmingly bullish activity in the long run. The reality is that while it’s upsetting that so many employees have lost their jobs, job cuts aren’t always a bad thing on a corporate level. In fact, in many cases, it has been proven that less is more! It is not uncommon for a company to perform job cuts in an attempt to set the stage for sustainable growth. 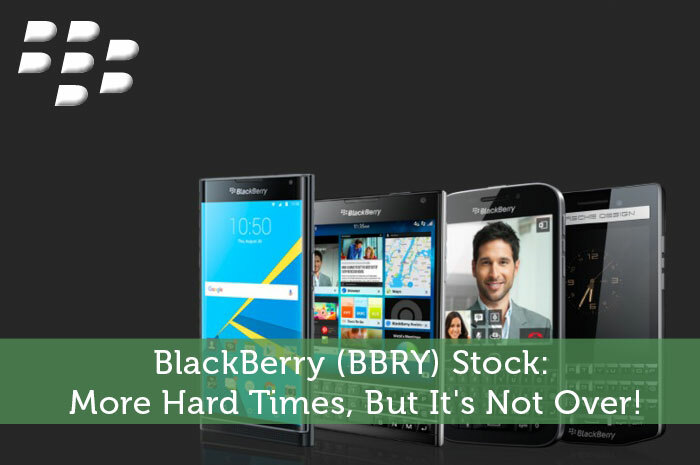 With that said, there is one big reason to expect to see growth in BBRY. While the company has struggled to sell its smartphones as of late, I believe that these struggles are likely to come to an end. The reason for this is that BlackBerry has made the decision to use Android operating systems in its most recent line of smartphones. This plan has proven to work with the Priv. In fact, Priv sales were so large that BBRY ended up having to delay shipping dates. As long as the company continues to follow the path of using a popular operating system, I’m expecting to see sales climb and the stock follow. Where do you think BBRY is headed moving forward? Let us know your opinion in the comments below! I think Priv sales will surprise to the upside. I think they’ll announce more Android devices to tab other price points and other areas. They won’t reclaim their former glory but it should get them to their stated goals in the hardware sector. I think software will continue to improve. All told, the goals that Chen set out all seem to be on track, and it’s amazing that the market is so unaware of this. Those who have ridden this down and down and down have profited handsomely, but I think the downside has been wrung out. Right now it looks like a very tightly coiled spring. Nothing has been proven yet. No priv sales numbers have been released. Shipping dates nave have been delayed due to limited manufacturing, not necessarily high sales. Betting on phone sales to save blackberry is a really bad idea.